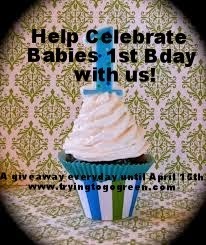 In celebration of babies first Birthday month I will be featuring some fabulous giveaways this month. You do not need to be a professional photographer to appreciate this one. I love it just being a mommy photographer always taking a ton of pics. Epiphanie bags are nice stylish designer camera bags that can fit every one's needs. Four years later, the collection has expanded from three to twelve styles and over 60 different bags that accommodate cameras, laptops and even backpacks for men. And there's lots more to come! I tried out their Ginger bag in the color Turquoise and this bag retails for $164.99. This is the front of the bag and it is so beautiful. The color is so vibrant and I love it so much. You can use this bag with the 2 handles or shown here with the cross body strap. Here is the back of the bag. The inside of the bag is totally customizable and any of the dividers can be removed. You can also remove all of the dividers to use this as a every day bag. I love this bag and I am so glad that I do not have to carry the square black bag that came with my camera. I can fit so much inside this bag and here is a look. There is also a pocket on the inside that I keep extra memory cards inside. Here is a complete photo of everything I have in this bag. I have a extra flash, 3 extra lenses, camera body with lens, custom camera strap, camera lens shade, keys, wallet, cell phone, camera cords, and the charger. I have plenty of room to add more items also. Make sure to like them on FACEBOOK follow them on TWITTER and their INSTAGRAM and PINTEREST. One lucky TTGG follower will be winning a bag of their choice. Ships Free in the US all others outside the US will need to pay for all the shipping costs. I love the Lola Red bag. I love the Lyric and Charlotte styles, Olive or Turqoise. I like the Lola in Cobalt! I would choose stella in grey! If they get it back in stock I would love the SYDNEY in Caramel, but otherwise I would choose the Madison in black. Thanks for a great giveaway! I love all the different Cobalt bags. I would love to have a Lyric bag in in color, although Slate Blue is definitely my favorite!! I would choose the Brooklyn bag. I really love the BROOKLYN Backpack - Grey, the bag is definitely on my wishlist of something I would really love to get, I would get very good use from it as I go out with my laptop a lot but want to keep my camera with me. I like the Slate Blue Stella bag! I keep changing my mind but maybe the stella in olive? I would choose the STELLA in Slate Blue.